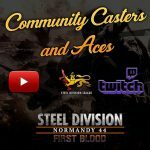 Steel Division: Normandy 44 - "And Justice For All" update is now available! 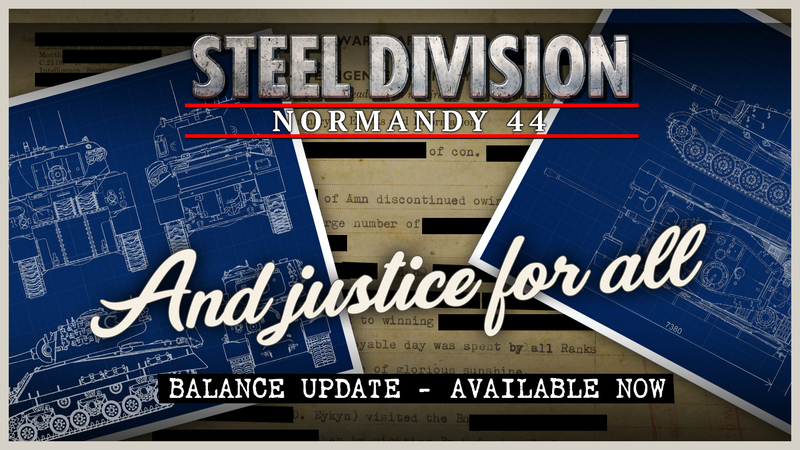 Three weeks after the official launch of our game, the first major update for Steel Division: Normandy 44, “And Justice For All” is out! 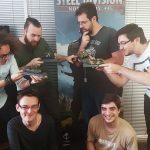 Since the release, our teams worked hard following the players’ feedback, fixing some bugs that could tarnish the gaming experience. But today is a special day, and we are happy to share with you the very first balance update that brings a huge amount of changes, as we promised. We added a lot of key improvements to the game, which should now have a better overall performance. 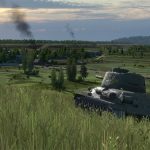 Multiplayer was optimized: you now have the possibility to search for different game sizes at the same time in Quick Play, we improved the menu navigation, and you should experiment fewer disconnection problems. The menu navigation also changed, you won’t be kicked back to the main menu when failing to join a game! We added new music tracks as well as the option to change the text size. Deck-building is also more intuitive, with the possibility to add or remove a pack by double-clicking on it. The single-player campaign got improved from its HUD to the persistence, and we also fixed some bugs. 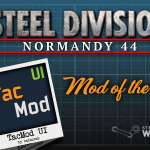 We added new possibilities for the modding tools and updated the Mod Center. 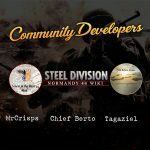 Modding and using mods for Steel Division: Normandy 44 is now easier. We balanced the different classes and divisions A LOT. Again, all your feedback were and still are very useful. 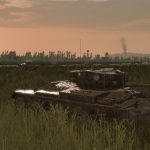 We also fixed some bugs, to know more about these and the balance changes, you can read the massive changelog on our Steel Division: Normandy 44’s forums. 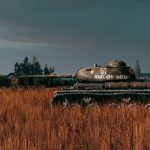 Buenos dias, me alegro mucho por los cambios en el juego, he observado que el juego se ha traducido al español casi al completo, pero algunos amigos no tienen esa posibilidad, mi pregunta es, ¿va a traducirse totalmente el juego, incluido la campaña? ¿porque unos amigos si y otros no? Indeed, the game will be fully translated in Spanish for everyone!